Microwave or saute onion and bell pepper until soft; set aside to cool. 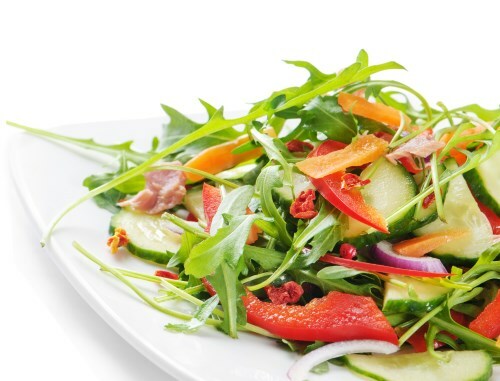 In a large salad bowl, combine the onion, pepper, salad greens, deli meat and tomato. Sprinkle with the onion powder, garlic powder, black pepper and salt. Toss to mix. Pour on enough salad dressing or vinegar to coat, toss again and serve.